A really good graphics processing unit (GPU) is an essential piece of hardware for any great computer. The GPU is particularly important for gamers and content creators. 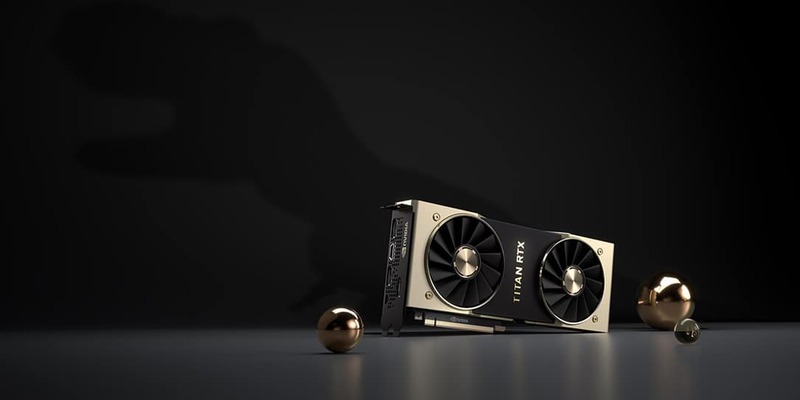 Today, NVIDIA took the wraps off their brand new desktop GPU dubbed, TITAN RTX. The TITAN RTX is driven by NVIDIA’s “Turing” architecture and delivers 130 teraflops of deep learning performance with 11 GigaRays of ray-tracing performance. NVIDIA says this GPU is built for AI researchers, deep learning developers, data scientists, and content creators. This new beast will be available for purchase this month, but it won’t be cheap! You’ll have to drop $2,499USD on it if you want the latest and greatest NVIDIA has to offer. What do you think of this new GPU from NVIDIA? Let us know in the comments below or on Google+, Twitter, or Facebook.